Severely delinquent debts sometimes end up being labeled on credit reports as "charge-offs." Creditors will assign this status to debts usually after they have become anywhere from 4-6 months delinquent so they can write them off for a tax deduction. That does not necessarily mean the debtor no longer is responsible for the debt. Creditors still can try to collect such debts by turning them over to collection agencies or through other legal means. If a debt that has been charged off is later paid in full, the charge-off still can remain on the debtor's credit report, but it will be listed as paid. If the account is settled for less than the original debt, it will be listed on the credit report as settled. If you have a charge-off on your credit report, it will have a negative effect regardless of status, though paid charge-offs and settled charge-offs will hurt your score less. Expect any charge-off to stay on your credit report for seven years. If you have a lot of old debts and they are being charged off or you expect them to be charged off, it's important to address the situation as proactively as possible. If you plan on purchasing a house, you'll be unlikely to get a mortgage unless all of your debts are paid in full. How much the charge-offs impact your overall credit score or the bank's willingness to give you a mortgage will depend on several other factors, but you're almost guaranteed to be rejected if you still have an outstanding debt. If you can’t pay in full, then you will need to settle your debt. Lenders often will agree to settle for less than the actual payoff amount because the settlement still will be more than what they'd get if they sold the debt to a collection agency. They also might be concerned that you'll eventually file for bankruptcy, which would leave them unable to collect any payment at all. If you have multiple debts and try to pay a little to all of them, you may end up with all of the companies hounding you all the time. Instead, focus on paying off one debt at a time so you can more rapidly reduce the number of debts you owe. As you eliminate debts, request that they report to the credit agencies as soon as possible that you have paid them. 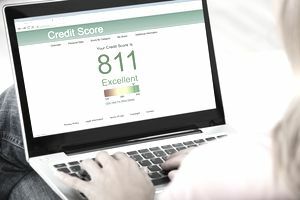 While you may not be able to remove all negative marks from your credit report, companies will look more closely at recent behavior than your older behavior. If you messed up six years ago, but are current on everything since then, it looks better than if you are currently late on some things. Also, give yourself time to clean up your credit report, especially if you had a period of time when you fell behind on all of your payments or if you stopped paying several credit cards. You won't be able to fix everything overnight, but you should be able to track your progress. If you are working to clean up your credit report, you should make sure that you do not end up in this situation again. You can do this by creating a budget and limiting the amount that you borrow. Ideally, you should avoid using your credit cards and try to pay cash for major purchases like a used car.